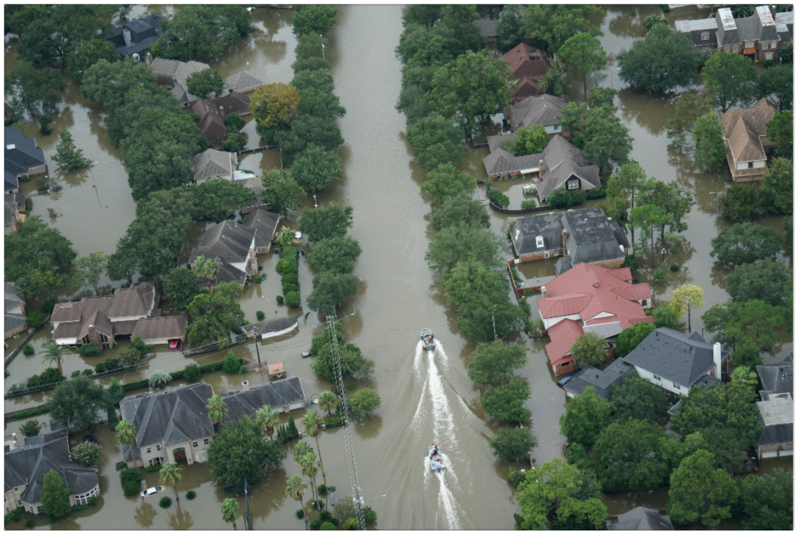 This article, the first in a series, describes a solution that can connect individuals, service providers, and government agencies in order to help them cope with natural disasters. In the past few months, the world has witnessed increasing devastation caused by natural disasters, where victims are often forced to move to makeshift shelters, such as churches or auditoriums. But how can displaced residents find the nearest shelter? How can they know if space is still available? Additionally, residents often need to know which shelters are equipped to deal with certain medical conditions. They were registered with a national weather station, which gave them alerts on the status of the hurricane. They visited a local government website for details about shelters, but it did not have up-to-date information regarding which shelters were closed and which ones were newly opened. They visited multiple websites for updates on specific locations. Often, informal updates were posted by residents, rather than government officials. Food services were offered by many volunteers. All communications were via intermittent, ad hoc social media or word of mouth. During a natural disaster, affected residents need a single, integrated portal to obtain basic information that will enable them to take advantage of available services. There should be no dependency on cash or cards to buy the services during the crisis. Virtual money, like mobile money, should be supported by a credit facility. The portal should be a secure environment where all parties are verified and accountable. The application should allow residents to publish their services. The system should be able to locate the nearest shelter and service provider. The portal should enable missing-person searches. The environment should be trusted and transparent, to prevent mismanagement of funds. Up-to-date information on the availability of services should be provided in real time to all parties. The system should support track-and-trace of residents and supplies. Real-time resident tracking information should support the initiation of rescue operations. The portal should be able to integrate existing ecosystems managed independently by service providers. Government authorities should have real-time information on demand to enable them to estimate the amount of funds to be released. Post-disaster, government authorities should be able to use the data to reward or incentivize participants. A service provider agrees to supply required material to a shelter and fails to do so after accepting the funds from the government. But he claims to have used it for the expected set of activities as he has updated his enterprise solution/database with those details. A government official claims to have released funds to service providers and residents (by adding money to their mobile wallets), but it has not reached the concerned parties. Government claims to have provided some credits to residents via their mobile wallets, but the residents have not received it. Medical service for an individual who requires expensive treatment, and which is unaffordable by the resident, becomes eligible for government funds. This requires a trusted and transparent setup which helps the government validate fund usage. A resident requests a service that has been accepted by the service provider, but the service provider does not deliver the supplies, and claims to have not received such a request. It appears to be deleted or cancelled on his system. Duration to settle payments from the government to service providers is time-consuming, since the list of settlements is long and needs to be verified. Automatically record location of registered users. Provide live weather updates, including satellite pictures and level of danger. Provide an integration point for existing emergency management systems. Analytics to help early detection of missing people. Show the count of users gathered in locations (mainly shelters); also, support in plotting a specific registered user. Show location of services such as shelter, food, medical. Recommend best routes to shelters and service providers. Provide geo-fencing to protect citizens from crossing borders. Mobile or satellite phones can be used to track residents and transportation vehicles. RFID tags on cartons carrying food and medical supplies can help record receipt of supplies at shelters. Latest weather and traffic data information can be used to provide best routes to the nearest shelters or suppliers. A blockchain solution enables the key players/organizations during a disaster management situation to communicate effectively and act on time. It allows the organizations to use their existing ecosystem to facilitate a service and publish on this network. All transactions are recorded on the network. Blockchain provides a secure environment with its immutability feature where a record cannot be tampered with once created. This creates a trusted environment that supports accountability and governance, thus addressing the above-mentioned user stories with conflicts. Blockchain uses a shared distributed ledger, which ensures that transactions and data reach all concerned parties as soon as they are created. This leads to early settlements. Government creates the consortium and offers a commercial platform to sell their services. Government can support subsidizing services and supplies. Government can give incentives and tax benefits to the organizations participating in this network. Government outsources the technical services to an IT company that provides the platform for this solution (blockchain environment, mobile application, etc.). Government provides this solution as a service to its citizens for free with some basic application features (such as tracing family, viewing weather conditions, booking shelters, purchasing food, medical supplies, and transportation). Some advanced features (such as tracing friends, geo fencing, medical professional services) are provided for a fee. Residents buy the services on this network by using their mobile wallet. They can have government funds added directly to their mobile wallets in case of financial loss. Empowering residents to make the purchase reduces the burden of settlements between the government and the service providers. Next steps: The next article in this series will offer user scenarios related to the solution described here. Contributors/reviewers: Timothy Paydos, John Cohn, Siddharth Purohit, Amarjeet Mundi, Ramesh Srinivasan. Photo credits: Figure 1: Shutterstock.com. Creator: DIIMSA Researcher. Figure 2: Shelter, transportation truck, bus icons are from Icograms, available under the Creative Commons license (Attribution 3.0 Unported). Telecom tower icon is from First Styles, available under the Creative Commons license (Attribution 3.0 Unported). Medical supply vehicle icon is from Dave Gandy, available under the SIL Open Font License. Food icon is from Simran Singh, available under the license terms of Free for commercial use. Government building icon is from Maxim Basinski, available under the license terms of Free for commercial use. Residents icon is from Everaldo Coelho, available under LGPL. Doctor icon is from Creative Agency Bresign, available under the license terms of Free for commercial use. Auditor icon is from Aha-Soft, available under the license terms of Free for commercial use.